I got this new converse shoes this summer. When hubby and ver was here, we go into shopping and veronica has her own . We Both has different style but almost like this one on picture. It’s very good timing because I am using it now when going to my driving lessons. Feeling comfortable and good enough for walking and driving when at the right shoes. Yes! 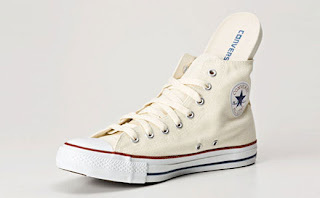 This entry was posted on 6:11 PM and is filed under Converse Shoes , Men and Women Shoes , Wfashion . You can follow any responses to this entry through the RSS 2.0 feed. You can leave a response, or trackback from your own site.